Old souls are people who are just different in heart, mind and soul. 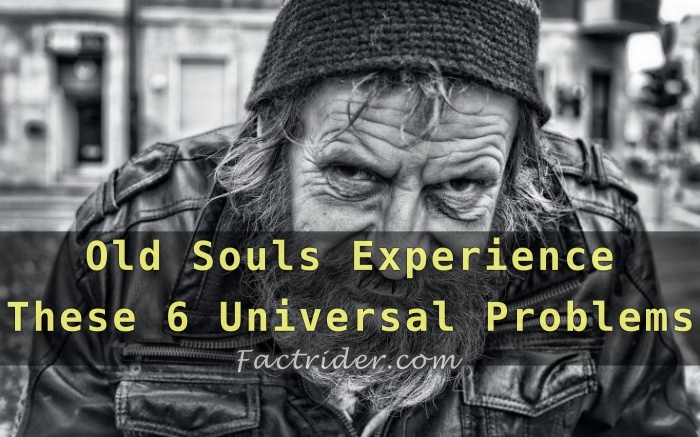 These differences have led to some universal problems that each old soul can relate to. Old Souls are special kind of persons who find themselves different, isolated, and alone since birth not because of their attitude, habits, or temperament, but rather because they are simply… old — in mind, in heart, and in soul. In a phrase, they are different — a difference for which the world has never become accustomed to. Old souls are often perceived as strange people because of their lack of interest in worldly possessions, their unconventional ideas, and their standards of living. In a world where consumerism is linked directly with one’s right of self determination; where wealth, authority, power, and income are a measure of personal respect and self-esteem; and where communities, relations, and sense of belonging and purpose are created by ones ambition, old soul’s evident separation from the “real world” is uncanny. Furthermore, in an age where everyone accepts wearing masks in society and try their best to uphold their image, the “different” set of expectations that old souls demonstrate through their character, day-to-day lives, and how they treat people, often raise red flags. All of this creates a gulf, making it hard for them to truly communicate with others, often resulting in them being left misunderstood. Old souls understand the inherent power of intuition, accepting it as a language of their inner self, and hence rely on this gut instinct to make personal and professional decisions. Their continued use often sharpens their intuition to the point that they are often found relying on intuition to make “informed” decisions. Given that intuition was relegated as an unreasonable form of human faculty throughout the Renaissance, Enlightenment, and post-Enlightenment epochs, and that remnants of that thought still find authority in our contemporary world, many people resist accepting it. Hence, when old souls rely on their intuition to make a decision, people often find the “logic” behind it unreasonable. 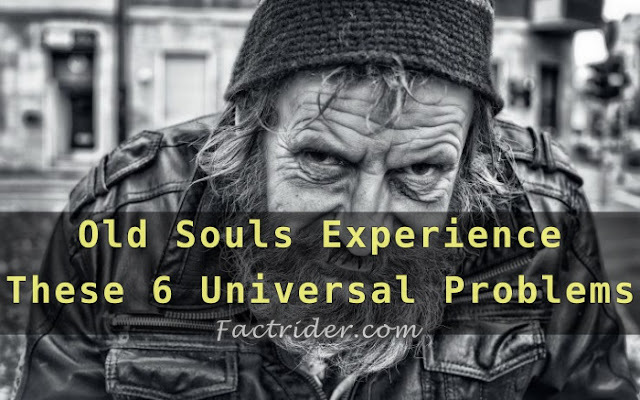 Old souls look at life philosophically, often pondering the circumstances that different people from different backgrounds, cultures, locations, and religions may have experienced; their limiting biases and beliefs and perspectives, and more. Hence, they gain a deeper sense of empathy for people around them — allowing them to be forgiving to misconducts and misbehavior with ease. Furthermore, old souls take life non-linearly, with good days and bad days ebbing and flowing through it. They realize the interconnectedness of life, and hence take it one moment at a time. Their easy going nature and their ability to be forgiving towards others and towards themselves allows them to see each obstacle in life as an opportunity to learn. In a world where failure is stigmatized as an “end of most things”, the ability of old souls to accept it so easily is nothing less than mind-boggling. It often creates a perception that they were nor serious enough about it in the first place. Old Souls believe in developing and nurturing meaningful, impactful, and lasting relationships in all facets of their lives. They strive to spend their energies building a few close relations rather than a platoon of acquaintances they hardly know. Consequently, they loathe being pressurized to socialize more, and hence come to be seen as loners or social outcasts. Old Souls are always comfortable with their selves, often seeking solitude for themselves. They draw their energy from within themselves, and so self-reflection and isolation recharge them. However, it often comes at the expense of frustrating their family and friends. Perhaps it is their serene personalities, their heightened sensitivity and consequent (uncontrolled) empathic reactions that etch gentleness across their features, or it’s their aura, the fact of the matter is that people get drawn towards old souls. Hence, old souls often find themselves on the listening end of people who may be complete strangers, unable to disengage from the conversation or stop themselves from being sensitive, empathic, and expressive towards the other person. Their sense of duty often clashes with their yearning for isolation.